With the sheer volume of events that take place in the summer months, it’s no surprise to take a look inside our distribution centres at the moment and see a lot of bare racking! The list of events that call upon our stocks of furniture hire is immense, from garden parties and fetes for outdoor furniture hire, airshows for temporary planning office furniture, weddings for banqueting tables, chairs and linen, and end of term graduation ceremonies and sports club presentation evenings that need all types of furniture from chair hire, mobile bar hire and even dancefloor hire. Large event organisers, small event organisers and members of the public take advantage of our extensive furniture hire UK range as it is one of the most comprehensive in the country, where they can hire furniture from one place without the need to shop around or co-ordinate deliveries and collections from multiple companies. Our one stop shop for furniture hire really does come into its own at this time of year. 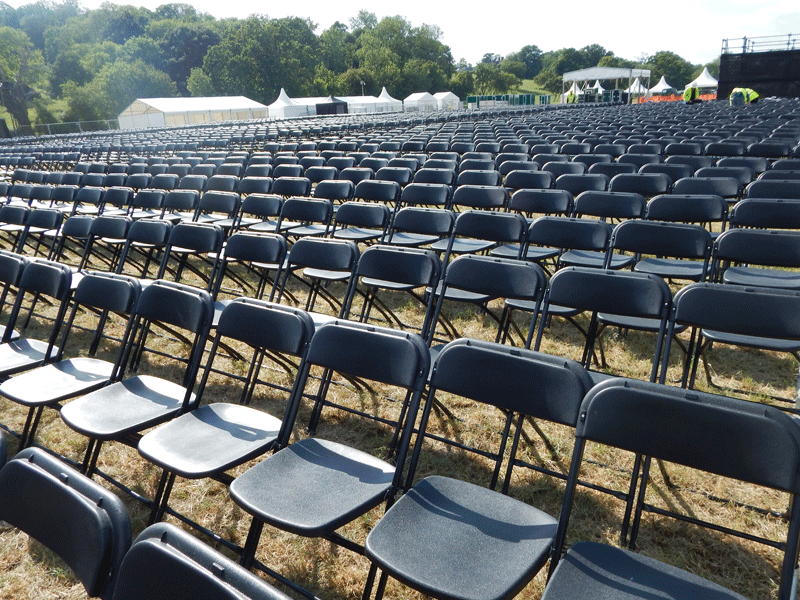 If you need to hire furniture for your event, whatever the time of year, contact the experts here at Event Hire UK. Our team are always on hand to help and guide you with product information and knowledge, along with the ability to sort out any specific arrangements that you might need to put in place such as set-up and dismantle arrangements, specific delivery and collection times and so on. We realise that planning events can be a stressful time, especially as they get closer, so we aim to provide our clients with a seamless furniture hire experience so that you can concentrate on other areas of your event safe in the knowledge that you are in the hands of the furniture hire specialists.